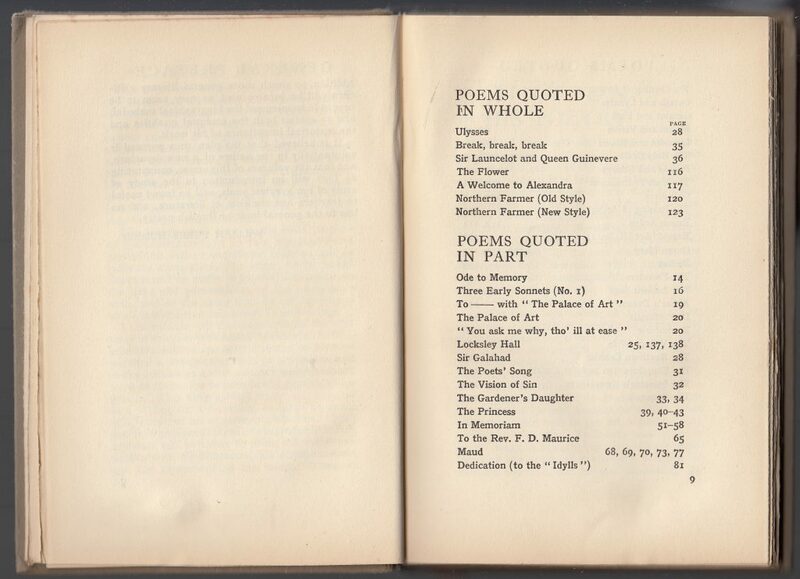 According to Patrick Buckridge’s book chapter “Personality, Appreciation and Literary Education: Harrap’s ‘Poetry and Life’ Series, 1911-1930” (from The Culture of the Publisher’s Series, Vol. 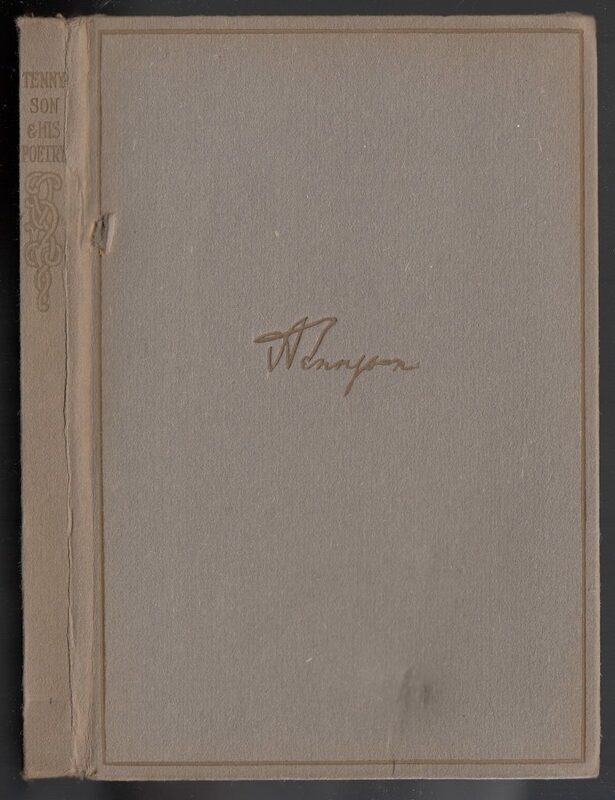 1, edited by J. Spiers) Harrap’s Poetry & Life Series came about from a proposal from William Henry Hudson, not the author and naturalist, but an instructor of literature at the University of London. 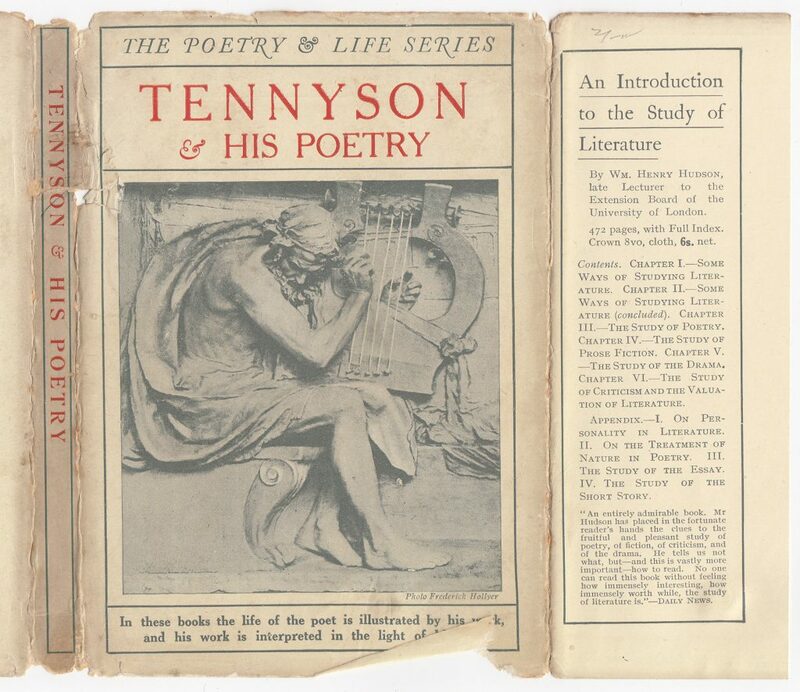 The series, which Hudson edited, consisted of 37 shortish (150 pages or so) collections of poetry and biographical information aimed at the educational market. Most of the titles were issued before 1918 when Hudson died. Titles continued to be issued until the last (Dante) was published in 1932. Titles were reprinted through WW2, and additional printings (not by Harrap) appear through the 1970s. Dodge published at least some of the titles in the US from 1911-1922. Of interest is the lack of translations in the series: non-English works are included in their original language, with no translation nor even citations of suggested translations. This, according to Buckridge, differentiated Harrap’s series from other similar series that provided translations of non-English works, including the Great Writers series (published by Walter Scott, 1887-1921) and Foreign Classics for English Readers (published by Blackwood, 1877-1911), or the Contemporary Men of Letters series (published by Heinemann, 1904-1908). 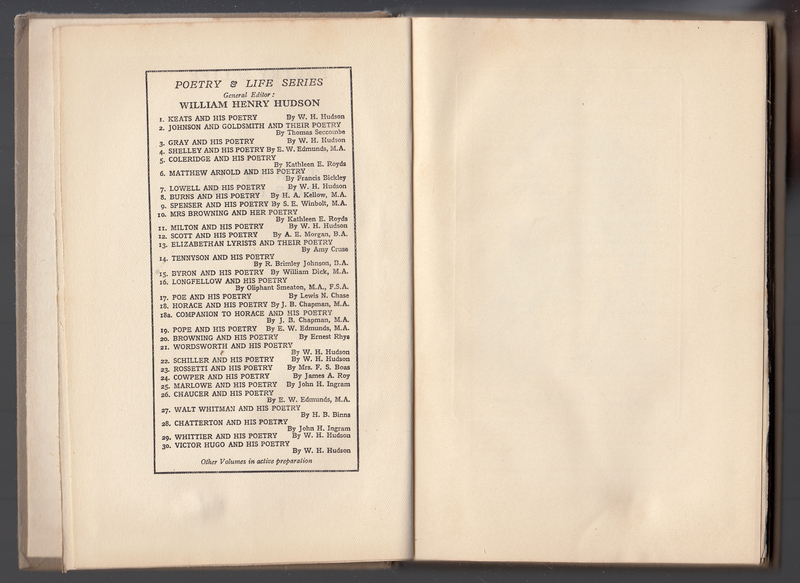 Titles in the Poetry and Life Series (compiled by Buckridge). Dates are for the Harrap copies published in the UK. *Author listed as Thomas Seccombe in 1914 and earlier catalogs in the book. The book with Seccombe as the author is listed as available from Dodge in the US in 1913. In 1918 the BPL Newsletter indicates that this title is “An introduction to the poetry of Johnson and Goldsmith, issued in the ‘Poetry and Life Series.’ The name of the general editor (Prof. Hudson) appears on the title-page as the author, but the wrapper ascribes responsibility for the volume to Mr. Thomas Seccombe.” Seccombe may have been the original author, but Hudson replaced him. Seccombe’s name may have been mistakenly left in lists of the book and jackets (issued before 1914). **Likely not published (ghost title), according to Jay A. Gertzman, Fantasy, Fashion, and Affection: Editions of Robert Herrick’s Poetry for the Common Reader, 1810-1968. Popular Press, 1986. Early jackets for the series (at least up to 1915) are common to the series and completely text. Around 1915 (and possibly earlier) the jackets are redesigned with an illustrated cover, that is still, nevertheless, common to all jackets. 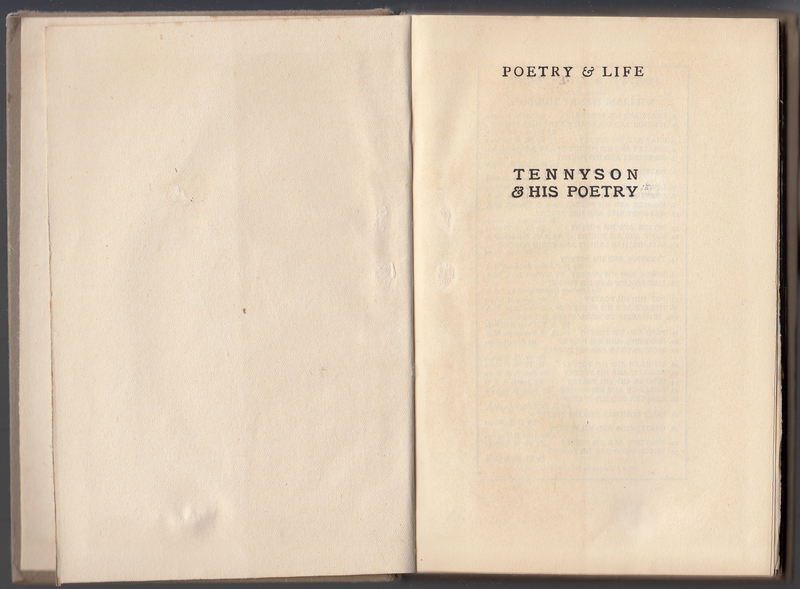 The copy of Tennyson & His Poetry, by R. Brimley Johnson (below), is dated 1917. This is the second jacket design, with the illustrated cover. Two colors (red and grey) are used on the jackets. The jacket spine on these brief books contains only the title. The front of the jacket repeats the title, also includes the series name (at the top) and a blurb about the series. 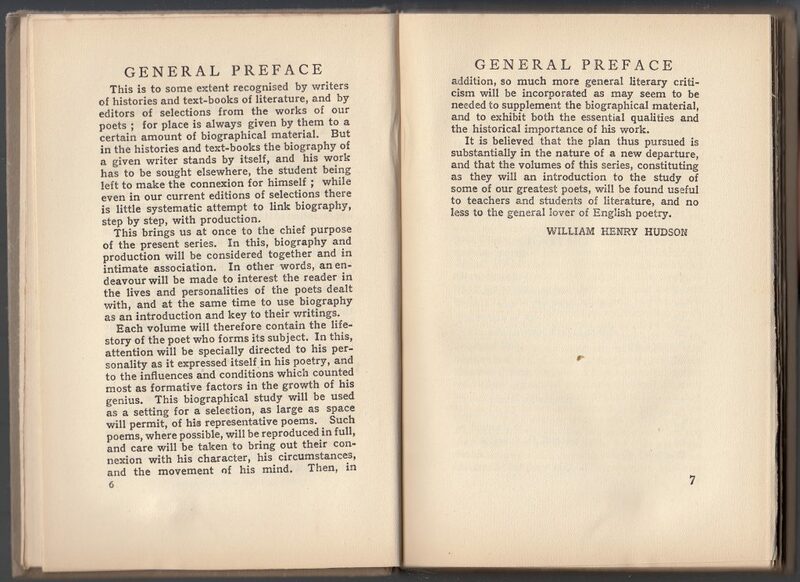 The front flap advertises An Introduction to the Study of Literature, by Hudson (the series editor). The author’s name does not appear on the jacket. 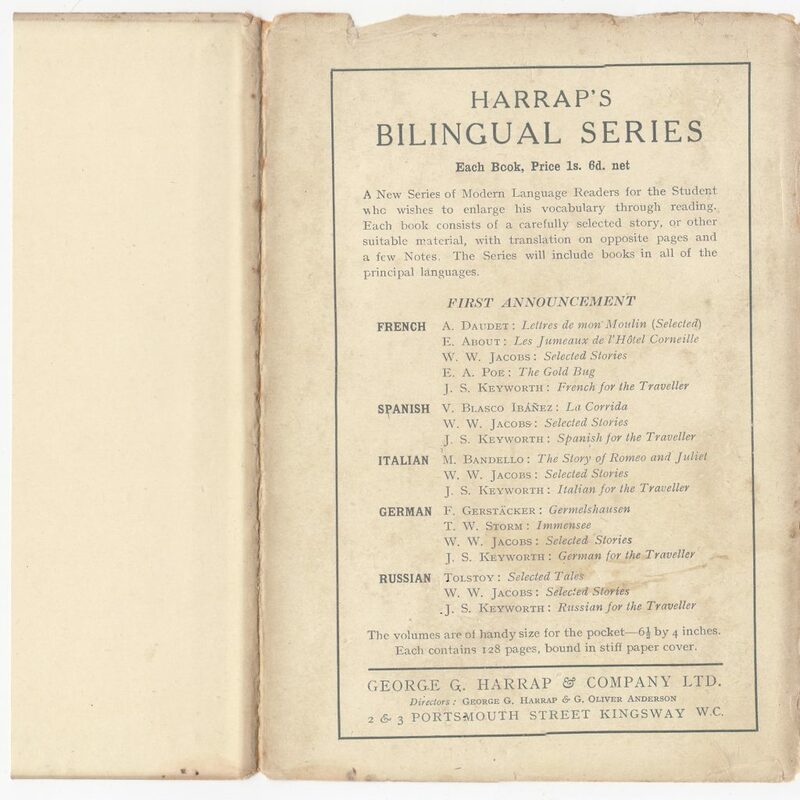 The back of the jacket advertises Harrap’s Bilingual Series. The publisher is also noted. Bindings for this title are heavy cardboard with gold decorations and typography. The subject of the book, in this case Tennyson, adds a signature to the front of the book. The half title page includes the series name and book title. A catalog of the series titles up to #30. 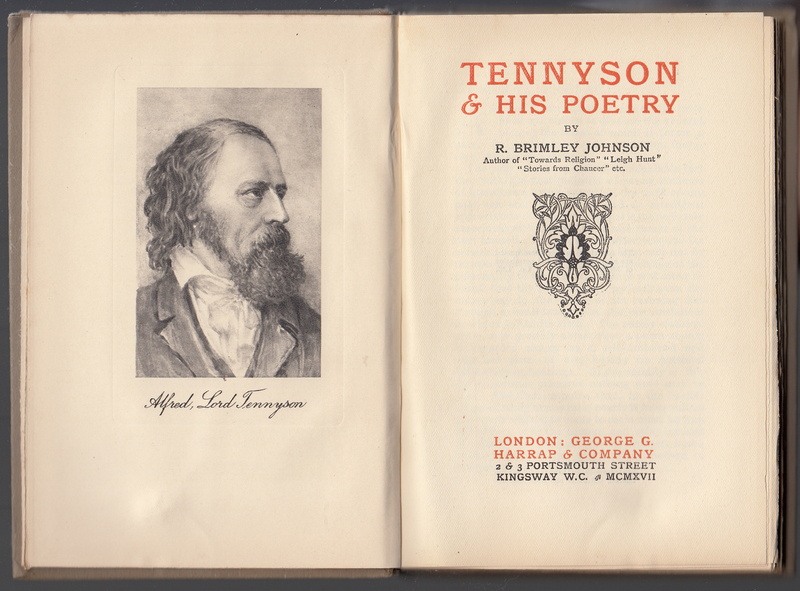 A portrait of Tennyson faces the two color title page. The date is included under the publisher’s imprint. The copyright page indicates that copyrighted passages are included in the book courtesy of Macmillan. The book was printed by Spottiswoode, Ballantyne & Co. of London, Colchester and Eton, UK. 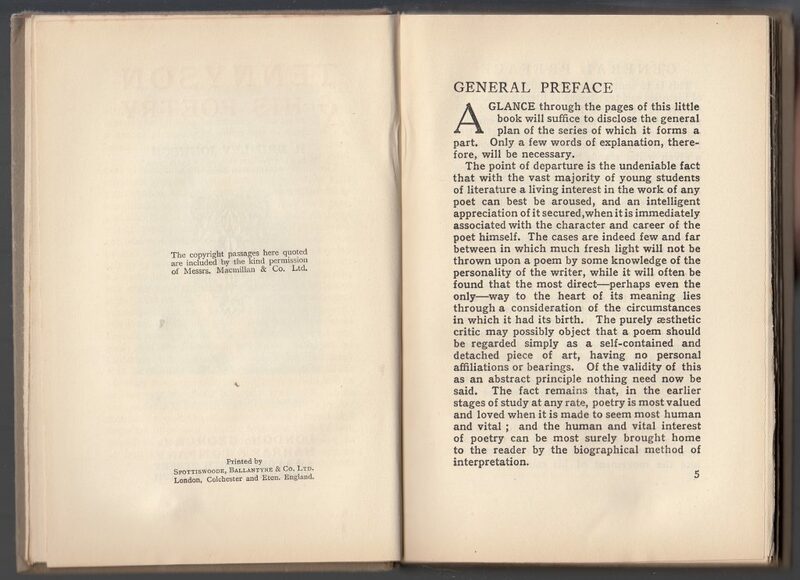 The preface starts on the facing page. The continuation of the preface.